David Le/Gloucester Daily Times. 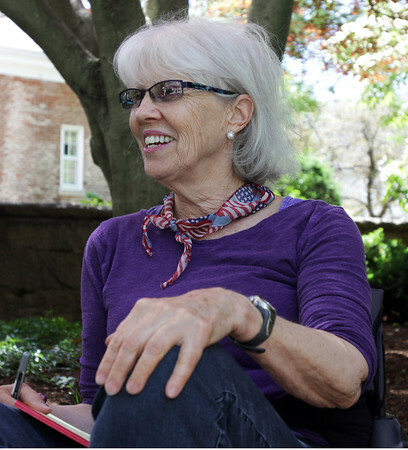 Penny Adams, of Manchester, smiles while listening to a poem during Poetry n' Picnic, where people were invited to come write poetry and enjoy some picnic snacks on the front lawn of Manchester Public Library. 6/27/11.